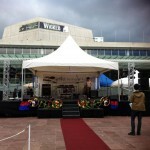 Production Hire Price Lists for Audio Visual, Sound, Staging and Lighting Rental in Auckland. We also quote for sound and lighting installation in venues, school halls and churches! Are you an event organiser that has been given an entertainer or band’s technical rider or spec list? Do you need help making sense of it? Let us decipher the artist’s input list, stage plot or technical rider for you! Need technical help for your live event or concert? We can help you – please fill in the “Get a Quote” form on the right. You can email us the technical rider or spec list that you have received from the entertainer. Are you considering buying a sound system or lighting rig? Buying pro audio visual, sound equipment or lighting can be incredibly expensive. It can be frustrating to store, annoying to set up and it’s even worse when it breaks down. This page links to various price lists for AV production equipment for hire. BUT Because of our experience with hiring out sound and lighting systems, we are also experts in the sales and installation of it. We can help you pick the most reliable system for your school hall, church, theatre, Auditorium or venue installation. We can quote and install it all for you too. SPECIAL PRICING FOR LONGTERM HIRE. 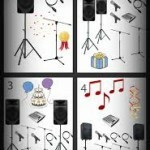 The Rock Factory offers long term and short term sound equipment hire solutions. 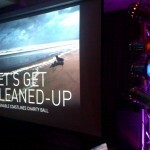 We can provide DJ gear, staging and audio visual hire for your event, gig, meeting or function. We have top quality equipment for hire or rental, not just suitable for small-time shows but also great for larger, professional events. We also can quote for the installation of sound and lighting systems if you are absolutely sure that you want to buy it yourself. You’ll find price lists on this page. 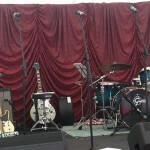 Sound system, event and party hire The Rock Factory can provide you with a complete set-up for event production hire. If you are a band we can help you with your tour. If you are looking for PA hire near Auckland, or sound system hire around Auckland, or stage hire auckland – then please contact us! 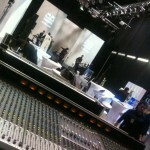 We’ll take care of production hire equipment installation and staging at your event. We can also give you a hand to make sure everything is running smoothly. Take a look at our production hire equipment list to see all of the professional sound, DJ, audio visual, lighting and stage equipment that we have available. 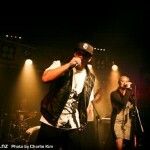 Find out more about our Auckland recording studio here. Catch up on the latest news and see some of The Rock Factory media for yourself. You can also find a bunch of helpful info for artists along with testimonials in the menu. Learn a bit about us and our clients on our Friends of The Rock Factory page. Contact Us or Get a quote from The Rock Factory by filling in out quote form. Are you planning a gig, show or other event? You can send your technical specifications, equipment riders, input lists and stage layouts to us via email. Don’t forget to tell us the dates and times, and we can start organising your sound equipment, audio visual hire or other services asap. All Enquiries, Quotes and Bookings: Call Michelle Klaessens Rawstron +64 21 358 577.